4152401 GD22AC-1 KOMATSU GD22AC-1 Motor Grader. Spare Parts Catalog. Service (workshop) Manual. Operator's Instruction Manual. 4152402 GD22H-1 KOMATSU GD22H-1 Motor Grader. Spare Parts Catalog. Service (workshop) Manual. Operator's Instruction Manual. 4152403 GD28AC-1 KOMATSU GD28AC-1 Motor Grader. Spare Parts Catalog. Service (workshop) Manual. Operator's Instruction Manual. 4152404 GD30-4 KOMATSU GD30-4 Motor Grader. Spare Parts Catalog. Service (workshop) Manual. Operator's Instruction Manual. 4152405 GD30-5M KOMATSU GD30-5M Motor Grader. Spare Parts Catalog. Service (workshop) Manual. Operator's Instruction Manual. 4152406 GD31-1 KOMATSU GD31-1 Motor Grader. Spare Parts Catalog. Service (workshop) Manual. Operator's Instruction Manual. 4152407 GD31-3H KOMATSU GD31-3H Motor Grader. Spare Parts Catalog. Service (workshop) Manual. Operator's Instruction Manual. 4152408 GD31RC-3A KOMATSU GD31RC-3A Motor Grader. Spare Parts Catalog. Service (workshop) Manual. Operator's Instruction Manual. 4152409 GD37-4 KOMATSU GD37-4 Motor Grader. Spare Parts Catalog. Service (workshop) Manual. Operator's Instruction Manual. 4152410 GD37-5H KOMATSU GD37-5H Motor Grader. Spare Parts Catalog. Service (workshop) Manual. Operator's Instruction Manual. 4152411 GD37-6H KOMATSU GD37-6H Motor Grader. Spare Parts Catalog. Service (workshop) Manual. Operator's Instruction Manual. 4152412 GD40HT-2 KOMATSU GD40HT-2 Motor Grader. Spare Parts Catalog. Service (workshop) Manual. Operator's Instruction Manual. 4152413 GD200A-1 KOMATSU GD200A-1 Motor Grader. Spare Parts Catalog. Service (workshop) Manual. Operator's Instruction Manual. 4152414 GD300A-1 KOMATSU GD300A-1 Motor Grader. Spare Parts Catalog. Service (workshop) Manual. Operator's Instruction Manual. 4152415 GD305A-1 KOMATSU GD305A-1 Motor Grader. Spare Parts Catalog. Service (workshop) Manual. Operator's Instruction Manual. 4152416 GD305A-1A KOMATSU GD305A-1A Motor Grader. Spare Parts Catalog. Service (workshop) Manual. Operator's Instruction Manual. 4152417 GD305A-3 KOMATSU GD305A-3 Motor Grader. Spare Parts Catalog. Service (workshop) Manual. Operator's Instruction Manual. 4152418 GD313A-1 KOMATSU GD313A-1 Motor Grader. Spare Parts Catalog. Service (workshop) Manual. Operator's Instruction Manual. 4152419 GD355A-1 KOMATSU GD355A-1 Motor Grader. Spare Parts Catalog. Service (workshop) Manual. Operator's Instruction Manual. 4152420 GD355A-1S KOMATSU GD355A-1S Motor Grader. Spare Parts Catalog. Service (workshop) Manual. Operator's Instruction Manual. 4152421 GD355A-3 KOMATSU GD355A-3 Motor Grader. Spare Parts Catalog. Service (workshop) Manual. Operator's Instruction Manual. 4152422 GD405A-1 KOMATSU GD405A-1 Motor Grader. Spare Parts Catalog. Service (workshop) Manual. Operator's Instruction Manual. 4152423 GD405A-2 KOMATSU GD405A-2 Motor Grader. Spare Parts Catalog. Service (workshop) Manual. Operator's Instruction Manual. 4152424 GD405A-2S KOMATSU GD405A-2S Motor Grader. Spare Parts Catalog. Service (workshop) Manual. Operator's Instruction Manual. 4152425 GD405A-3 KOMATSU GD405A-3 Motor Grader. Spare Parts Catalog. Service (workshop) Manual. Operator's Instruction Manual. 4152426 GD405A-3S KOMATSU GD405A-3S Motor Grader. Spare Parts Catalog. Service (workshop) Manual. Operator's Instruction Manual. 4152427 GD461A-1 KOMATSU GD461A-1 Motor Grader. Spare Parts Catalog. Service (workshop) Manual. Operator's Instruction Manual. 4152428 GD500R-1 KOMATSU GD500R-1 Motor Grader. Spare Parts Catalog. Service (workshop) Manual. Operator's Instruction Manual. 4152429 GD500R-2A KOMATSU GD500R-2A Motor Grader. Spare Parts Catalog. Service (workshop) Manual. Operator's Instruction Manual. 4152430 GD505A-1 KOMATSU GD505A-1 Motor Grader. Spare Parts Catalog. Service (workshop) Manual. Operator's Instruction Manual. 4152431 GD505A-2 KOMATSU GD505A-2 Motor Grader. Spare Parts Catalog. Service (workshop) Manual. Operator's Instruction Manual. 4152432 GD505A-3 KOMATSU GD505A-3 Motor Grader. Spare Parts Catalog. Service (workshop) Manual. Operator's Instruction Manual. 4152433 GD505A-3A KOMATSU GD505A-3A Motor Grader. Spare Parts Catalog. Service (workshop) Manual. Operator's Instruction Manual. 4152434 GD505R-2 KOMATSU GD505R-2 Motor Grader. Spare Parts Catalog. Service (workshop) Manual. Operator's Instruction Manual. 4152435 GD510R-1 KOMATSU GD510R-1 Motor Grader. Spare Parts Catalog. Service (workshop) Manual. Operator's Instruction Manual. 4152436 GD511A-1 KOMATSU GD511A-1 Motor Grader. Spare Parts Catalog. Service (workshop) Manual. Operator's Instruction Manual. 4152437 GD511R-1 KOMATSU GD511R-1 Motor Grader. Spare Parts Catalog. Service (workshop) Manual. Operator's Instruction Manual. 4152438 GD513A-1 KOMATSU GD513A-1 Motor Grader. Spare Parts Catalog. Service (workshop) Manual. Operator's Instruction Manual. 4152439 GD513R-1 KOMATSU GD513R-1 Motor Grader. Spare Parts Catalog. Service (workshop) Manual. Operator's Instruction Manual. 4152440 GD515A-1 KOMATSU GD515A-1 Motor Grader. Spare Parts Catalog. Service (workshop) Manual. Operator's Instruction Manual. 4152441 GD521A-1 KOMATSU GD521A-1 Motor Grader. Spare Parts Catalog. Service (workshop) Manual. Operator's Instruction Manual. 4152442 GD521A-1E KOMATSU GD521A-1E Motor Grader. Spare Parts Catalog. Service (workshop) Manual. Operator's Instruction Manual. 4152443 GD521R-1 KOMATSU GD521R-1 Motor Grader. Spare Parts Catalog. Service (workshop) Manual. Operator's Instruction Manual. 4152444 GD522A-1 KOMATSU GD522A-1 Motor Grader. Spare Parts Catalog. Service (workshop) Manual. Operator's Instruction Manual. 4152445 GD523A-1 KOMATSU GD523A-1 Motor Grader. Spare Parts Catalog. Service (workshop) Manual. Operator's Instruction Manual. 4152446 GD523R-1 KOMATSU GD523R-1 Motor Grader. Spare Parts Catalog. Service (workshop) Manual. Operator's Instruction Manual. 4152447 GD525A-1 KOMATSU GD525A-1 Motor Grader. Spare Parts Catalog. Service (workshop) Manual. Operator's Instruction Manual. 4152448 GD530A-1 KOMATSU GD530A-1 Motor Grader. Spare Parts Catalog. Service (workshop) Manual. Operator's Instruction Manual. 4152449 GD530A-2 KOMATSU GD530A-2 Motor Grader. Spare Parts Catalog. Service (workshop) Manual. Operator's Instruction Manual. 4152450 GD530A-2BY KOMATSU GD530A-2BY Motor Grader. Spare Parts Catalog. Service (workshop) Manual. Operator's Instruction Manual. 4152451 GD530A-2CY KOMATSU GD530A-2CY Motor Grader. Spare Parts Catalog. Service (workshop) Manual. Operator's Instruction Manual. 4152452 GD530A-2EY KOMATSU GD530A-2EY Motor Grader. Spare Parts Catalog. Service (workshop) Manual. Operator's Instruction Manual. 4152453 GD530AW-1 KOMATSU GD530AW-1 Motor Grader. Spare Parts Catalog. Service (workshop) Manual. Operator's Instruction Manual. 4152454 GD530AW-2 KOMATSU GD530AW-2 Motor Grader. Spare Parts Catalog. Service (workshop) Manual. Operator's Instruction Manual. 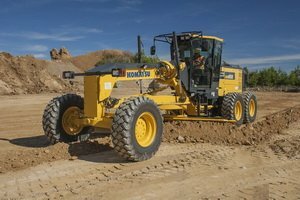 4152455 GD530AW-2BY KOMATSU GD530AW-2BY Motor Grader. Spare Parts Catalog. Service (workshop) Manual. Operator's Instruction Manual. 4152456 GD530AW-2CY KOMATSU GD530AW-2CY Motor Grader. Spare Parts Catalog. Service (workshop) Manual. Operator's Instruction Manual. 4152457 GD530AW-2EY KOMATSU GD530AW-2EY Motor Grader. Spare Parts Catalog. Service (workshop) Manual. Operator's Instruction Manual. 4152458 GD555-3 KOMATSU GD555-3 Motor Grader. Spare Parts Catalog. Service (workshop) Manual. Operator's Instruction Manual. 4152459 GD555-3A KOMATSU GD555-3A Motor Grader. Spare Parts Catalog. Service (workshop) Manual. Operator's Instruction Manual. 4152460 GD555-3C KOMATSU GD555-3C Motor Grader. Spare Parts Catalog. Service (workshop) Manual. Operator's Instruction Manual. 4152461 GD555-5 KOMATSU GD555-5 Motor Grader. Spare Parts Catalog. Service (workshop) Manual. Operator's Instruction Manual. 4152462 GD600R-1 KOMATSU GD600R-1 Motor Grader. Spare Parts Catalog. Service (workshop) Manual. Operator's Instruction Manual. 4152463 GD600R-3 KOMATSU GD600R-3 Motor Grader. Spare Parts Catalog. Service (workshop) Manual. Operator's Instruction Manual. 4152464 GD605A-1 KOMATSU GD605A-1 Motor Grader. Spare Parts Catalog. Service (workshop) Manual. Operator's Instruction Manual. 4152465 GD605A-3 KOMATSU GD605A-3 Motor Grader. Spare Parts Catalog. Service (workshop) Manual. Operator's Instruction Manual. 4152466 GD605A-5 KOMATSU GD605A-5 Motor Grader. Spare Parts Catalog. Service (workshop) Manual. Operator's Instruction Manual. 4152467 GD605A-5S KOMATSU GD605A-5S Motor Grader. Spare Parts Catalog. Service (workshop) Manual. Operator's Instruction Manual. 4152468 GD611A-1 KOMATSU GD611A-1 Motor Grader. Spare Parts Catalog. Service (workshop) Manual. Operator's Instruction Manual. 4152469 GD611R-1 KOMATSU GD611R-1 Motor Grader. Spare Parts Catalog. Service (workshop) Manual. Operator's Instruction Manual. 4152470 GD613A-1 KOMATSU GD613A-1 Motor Grader. Spare Parts Catalog. Service (workshop) Manual. Operator's Instruction Manual. 4152471 GD613R-1 KOMATSU GD613R-1 Motor Grader. Spare Parts Catalog. Service (workshop) Manual. Operator's Instruction Manual. 4152472 GD615A-1 KOMATSU GD615A-1 Motor Grader. Spare Parts Catalog. Service (workshop) Manual. Operator's Instruction Manual. 4152473 GD621A-1 KOMATSU GD621A-1 Motor Grader. Spare Parts Catalog. Service (workshop) Manual. Operator's Instruction Manual. 4152474 GD621R-1 KOMATSU GD621R-1 Motor Grader. Spare Parts Catalog. Service (workshop) Manual. Operator's Instruction Manual. 4152475 GD622A-1 KOMATSU GD622A-1 Motor Grader. Spare Parts Catalog. Service (workshop) Manual. Operator's Instruction Manual. 4152476 GD623A-1 KOMATSU GD623A-1 Motor Grader. Spare Parts Catalog. Service (workshop) Manual. Operator's Instruction Manual. 4152477 GD623A-2 KOMATSU GD623A-2 Motor Grader. Spare Parts Catalog. Service (workshop) Manual. Operator's Instruction Manual. 4152478 GD623R-1 KOMATSU GD623R-1 Motor Grader. Spare Parts Catalog. Service (workshop) Manual. Operator's Instruction Manual. 4152479 GD625A-1 KOMATSU GD625A-1 Motor Grader. Spare Parts Catalog. Service (workshop) Manual. Operator's Instruction Manual. 4152480 GD625A-1A KOMATSU GD625A-1A Motor Grader. Spare Parts Catalog. Service (workshop) Manual. Operator's Instruction Manual. 4152481 GD625A-1B KOMATSU GD625A-1B Motor Grader. Spare Parts Catalog. Service (workshop) Manual. Operator's Instruction Manual. 4152482 GD625A-1C KOMATSU GD625A-1C Motor Grader. Spare Parts Catalog. Service (workshop) Manual. Operator's Instruction Manual. 4152483 GD650A-1 KOMATSU GD650A-1 Motor Grader. Spare Parts Catalog. Service (workshop) Manual. Operator's Instruction Manual. 4152484 GD650A-2 KOMATSU GD650A-2 Motor Grader. Spare Parts Catalog. Service (workshop) Manual. Operator's Instruction Manual. 4152485 GD650A-2BY KOMATSU GD650A-2BY Motor Grader. Spare Parts Catalog. Service (workshop) Manual. Operator's Instruction Manual. 4152486 GD650A-2CY KOMATSU GD650A-2CY Motor Grader. Spare Parts Catalog. Service (workshop) Manual. Operator's Instruction Manual. 4152487 GD650A-2EY KOMATSU GD650A-2EY Motor Grader. Spare Parts Catalog. Service (workshop) Manual. Operator's Instruction Manual. 4152488 GD650AW-1 KOMATSU GD650AW-1 Motor Grader. Spare Parts Catalog. Service (workshop) Manual. Operator's Instruction Manual. 4152489 GD650AW-2 KOMATSU GD650AW-2 Motor Grader. Spare Parts Catalog. Service (workshop) Manual. Operator's Instruction Manual. 4152490 GD650AW-2BY KOMATSU GD650AW-2BY Motor Grader. Spare Parts Catalog. Service (workshop) Manual. Operator's Instruction Manual. 4152491 GD650AW-2CY KOMATSU GD650AW-2CY Motor Grader. Spare Parts Catalog. Service (workshop) Manual. Operator's Instruction Manual. 4152492 GD650AW-2EY KOMATSU GD650AW-2EY Motor Grader. Spare Parts Catalog. Service (workshop) Manual. Operator's Instruction Manual. 4152493 GD655-3 KOMATSU GD655-3 Motor Grader. Spare Parts Catalog. Service (workshop) Manual. Operator's Instruction Manual. 4152494 GD655-3A KOMATSU GD655-3A Motor Grader. Spare Parts Catalog. Service (workshop) Manual. Operator's Instruction Manual. 4152495 GD655-3C KOMATSU GD655-3C Motor Grader. Spare Parts Catalog. Service (workshop) Manual. Operator's Instruction Manual. 4152496 GD655-3E0 KOMATSU GD655-3E0 Motor Grader. Spare Parts Catalog. Service (workshop) Manual. Operator's Instruction Manual. 4152497 GD655-3Y KOMATSU GD655-3Y Motor Grader. Spare Parts Catalog. Service (workshop) Manual. Operator's Instruction Manual. 4152498 GD655-5 KOMATSU GD655-5 Motor Grader. Spare Parts Catalog. Service (workshop) Manual. Operator's Instruction Manual. 4152499 GD655A-1 KOMATSU GD655A-1 Motor Grader. Spare Parts Catalog. Service (workshop) Manual. Operator's Instruction Manual. 4152500 GD655A-3 KOMATSU GD655A-3 Motor Grader. Spare Parts Catalog. Service (workshop) Manual. Operator's Instruction Manual. 4152501 GD661A-1 KOMATSU GD661A-1 Motor Grader. Spare Parts Catalog. Service (workshop) Manual. Operator's Instruction Manual. 4152502 GD663A-1 KOMATSU GD663A-1 Motor Grader. Spare Parts Catalog. Service (workshop) Manual. Operator's Instruction Manual. 4152503 GD663A-2 KOMATSU GD663A-2 Motor Grader. Spare Parts Catalog. Service (workshop) Manual. Operator's Instruction Manual. 4152504 GD670A-1 KOMATSU GD670A-1 Motor Grader. Spare Parts Catalog. Service (workshop) Manual. Operator's Instruction Manual. 4152505 GD670A-2 KOMATSU GD670A-2 Motor Grader. Spare Parts Catalog. Service (workshop) Manual. Operator's Instruction Manual. 4152506 GD670A-2BY KOMATSU GD670A-2BY Motor Grader. Spare Parts Catalog. Service (workshop) Manual. Operator's Instruction Manual. 4152507 GD670A-2CY KOMATSU GD670A-2CY Motor Grader. Spare Parts Catalog. Service (workshop) Manual. Operator's Instruction Manual. 4152508 GD670A-2EY KOMATSU GD670A-2EY Motor Grader. Spare Parts Catalog. Service (workshop) Manual. Operator's Instruction Manual. 4152509 GD670AW-1 KOMATSU GD670AW-1 Motor Grader. Spare Parts Catalog. Service (workshop) Manual. Operator's Instruction Manual. 4152510 GD670AW-2 KOMATSU GD670AW-2 Motor Grader. Spare Parts Catalog. Service (workshop) Manual. Operator's Instruction Manual. 4152511 GD670AW-2BY KOMATSU GD670AW-2BY Motor Grader. Spare Parts Catalog. Service (workshop) Manual. Operator's Instruction Manual. 4152512 GD670AW-2CY KOMATSU GD670AW-2CY Motor Grader. Spare Parts Catalog. Service (workshop) Manual. Operator's Instruction Manual. 4152513 GD670AW-2EY KOMATSU GD670AW-2EY Motor Grader. Spare Parts Catalog. Service (workshop) Manual. Operator's Instruction Manual. 4152514 GD672A-1 KOMATSU GD672A-1 Motor Grader. Spare Parts Catalog. Service (workshop) Manual. Operator's Instruction Manual. 4152515 GD675-3 KOMATSU GD675-3 Motor Grader. Spare Parts Catalog. Service (workshop) Manual. Operator's Instruction Manual. 4152516 GD675-3A KOMATSU GD675-3A Motor Grader. Spare Parts Catalog. Service (workshop) Manual. Operator's Instruction Manual. 4152517 GD675-3C KOMATSU GD675-3C Motor Grader. Spare Parts Catalog. Service (workshop) Manual. Operator's Instruction Manual. 4152518 GD675-3E0 KOMATSU GD675-3E0 Motor Grader. Spare Parts Catalog. Service (workshop) Manual. Operator's Instruction Manual. 4152519 GD675-5 KOMATSU GD675-5 Motor Grader. Spare Parts Catalog. Service (workshop) Manual. Operator's Instruction Manual. 4152520 GD705A-1 KOMATSU GD705A-1 Motor Grader. Spare Parts Catalog. Service (workshop) Manual. Operator's Instruction Manual. 4152521 GD705A-3 KOMATSU GD705A-3 Motor Grader. Spare Parts Catalog. Service (workshop) Manual. Operator's Instruction Manual. 4152522 GD705A-3A KOMATSU GD705A-3A Motor Grader. Spare Parts Catalog. Service (workshop) Manual. Operator's Instruction Manual. 4152523 GD705A-4 KOMATSU GD705A-4 Motor Grader. Spare Parts Catalog. Service (workshop) Manual. Operator's Instruction Manual. 4152524 GD705A-4A KOMATSU GD705A-4A Motor Grader. Spare Parts Catalog. Service (workshop) Manual. Operator's Instruction Manual. 4152525 GD705A-4A-N KOMATSU GD705A-4A-N Motor Grader. Spare Parts Catalog. Service (workshop) Manual. Operator's Instruction Manual. 4152526 GD705R-1 KOMATSU GD705R-1 Motor Grader. Spare Parts Catalog. Service (workshop) Manual. Operator's Instruction Manual. 4152527 GD705R-2 KOMATSU GD705R-2 Motor Grader. Spare Parts Catalog. Service (workshop) Manual. Operator's Instruction Manual. 4152528 GD705R-4 KOMATSU GD705R-4 Motor Grader. Spare Parts Catalog. Service (workshop) Manual. Operator's Instruction Manual. 4152529 GD725A-1 KOMATSU GD725A-1 Motor Grader. Spare Parts Catalog. Service (workshop) Manual. Operator's Instruction Manual. 4152530 GD750A-1 KOMATSU GD750A-1 Motor Grader. Spare Parts Catalog. Service (workshop) Manual. Operator's Instruction Manual. 4152531 GD755-3 KOMATSU GD755-3 Motor Grader. Spare Parts Catalog. Service (workshop) Manual. Operator's Instruction Manual. 4152532 GD755-5R KOMATSU GD755-5R Motor Grader. Spare Parts Catalog. Service (workshop) Manual. Operator's Instruction Manual. 4152533 GD755-5Y KOMATSU GD755-5Y Motor Grader. Spare Parts Catalog. Service (workshop) Manual. Operator's Instruction Manual. 4152534 GD805A-1 KOMATSU GD805A-1 Motor Grader. Spare Parts Catalog. Service (workshop) Manual. Operator's Instruction Manual. 4152535 GD825A-1 KOMATSU GD825A-1 Motor Grader. Spare Parts Catalog. Service (workshop) Manual. Operator's Instruction Manual. 4152536 GD825A-2 KOMATSU GD825A-2 Motor Grader. Spare Parts Catalog. Service (workshop) Manual. Operator's Instruction Manual. 4152537 GD825A-2E0 KOMATSU GD825A-2E0 Motor Grader. Spare Parts Catalog. Service (workshop) Manual. Operator's Instruction Manual. 4152538 GH320-2 KOMATSU GH320-2 Motor Grader. Spare Parts Catalog. Service (workshop) Manual. Operator's Instruction Manual. 4152539 GH320-3 KOMATSU GH320-3 Motor Grader. Spare Parts Catalog. Service (workshop) Manual. Operator's Instruction Manual. 4152540 GH320-5 KOMATSU GH320-5 Motor Grader. Spare Parts Catalog. Service (workshop) Manual. Operator's Instruction Manual.